Marvel Studios has had a tremendous 2018, with Black Panther and Avengers: Infinity War becoming its two biggest domestic hits yet (the latter its biggest worldwide). On the heels of those two blockbusters comes Ant-Man and the Wasp, a much lighter, lower-key superhero movie that serves as a respite from the darkness ushered in by Infinity War. It falters occasionally, but it’s an exciting and funny comic book caper that focuses on more intimate battles as opposed to intergalactic wars and international intrigue. The most noticeable aspect of Ant-Man and the Wasp is its scale; after two movies with, respectively, the fate of a country and the entire universe at stake, this one focuses on three people trying to save a single life and put a family back together. Placing it after Infinity War on the release schedule was a deft touch because it presents the Marvel Universe as a world that keeps turning for the little people while the Avengers fight their cosmic battles. It’s similar to Spider-Man: Homecoming in this respect, although Ant-Man and the Wasp does a better job of showing the ramifications of the events from the bigger films. While Spidey was free to pretty much be Spidey, Scott, Hope and Hank are on the run, constantly evading the law as they get on with their superhero antics, a result of the Sokovia Accords from Captain America: Civil War. This also compliments the heist framework of the Ant-Man (and, now, the Wasp) movies, putting the good guys on the wrong side of the law just for wearing their costumes. 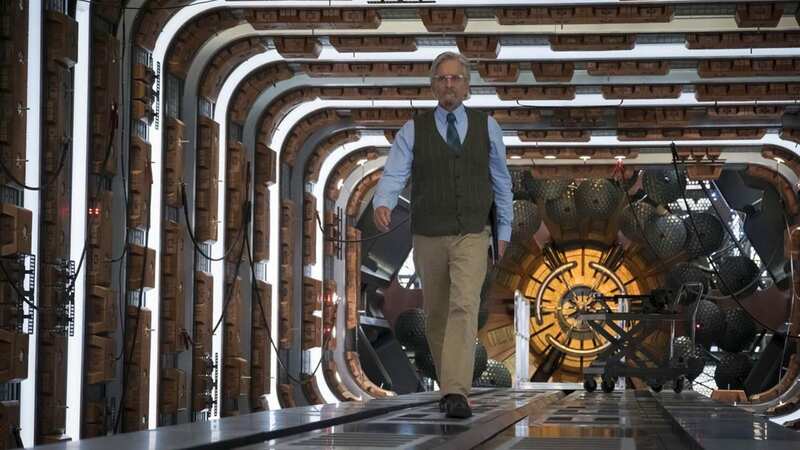 Ant-Man and the Wasp also picks up the big dangling thread of its predecessor by exploring the Quantum Realm and the (ahem) hope that original Wasp Janet van Dyne might still be alive. This is how the film compensates for its comparative lack of stakes: by making the smaller stakes personal. Hope’s determination to find her mother and Hank’s desperation to rebuild the family he blames himself for fracturing are as important to them as Thor and Iron Man fighting Thanos. For Scott, it’s not about his family this time so much as learning that being a hero means putting the needs of others above your own, as well as the value of trusting the people you love; wisely, Ant-Man and the Wasp uses Scott’s actions in Civil War as the jumping-off point for this theme. The three leads once again play their parts just right, selling the various emotions of their characters while keeping things light and fun. Lily, in particular, gets to be much more engaging and enjoyable than her first outing as Hope, and she holds her own with Rudd, both in the action and comedy departments. Scott’s old thieving buddy Luis (Michael Peña) and his sidekicks Dave and Kurt (T.I. and David Dastmalchian) are back too, and once again they’re hysterical, although some of Luis’ earlier jokes fall a little flat. Not faring as well are the villains. After a long stretch of mostly subpar heavies, Marvel has had a great bad guy streak over the last couple of years (Thor: Ragnarok being a letdown only because deliciously devilish Hela is barely in it); Ant-Man and the Wasp, unfortunately, breaks it. In grand heist movie tradition, there are different factions vying for the MacGuffin (the comic-book nature of which is much more fun than the typical suitcase or bag of money), but none of them are particularly memorable. Ghost (Hannah John-Kamen) is an able enough physical threat, and her motives compliment the heroes’ arcs, but she never really comes to life, failing to be either as sinister or as sympathetic as she needs to be, depending on the scene. And Sonny Burch (the great Walton Goggins, whom I can’t help but feel is wasted) and his henchmen are amusing, but never really threatening, present mostly so there are some less morally ambiguous bad guys to pound on. Randall Park’s beleaguered-but-good-humored FBI agent serves as another obstacle in the shrinking hero crew’s path, and his not being an actual villain allows him to wring a lot of humor out of his constant humiliations without the film losing anything. They’re decent enough for the movie, but Mad Titans they ain’t. 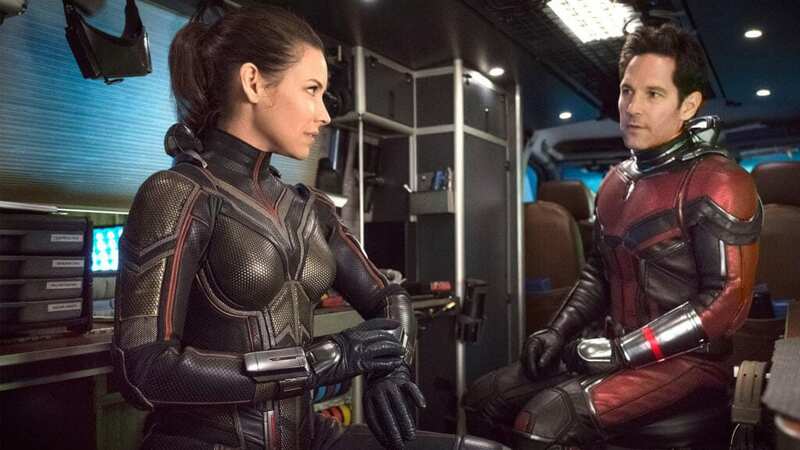 Ant-Man and the Wasp also falters a bit in its filmmaking. The camera work is spotty, at times perfectly fine and even quite interesting (such as in a car chase, or Wasp fighting some of Burch’s lackeys in a kitchen), but too frenetic and close to incoherent at others (like most of the fights with Ghost). There are also a couple of terrible edits, where one scene abruptly ends and the next begins with no transition whatsoever. It’s only twice, but it’s jarring. The music is jaunty and exciting, befitting a superhero action-comedy, but nothing you’ll remember afterward. The special effects are great, though; Ant-Man and the Wasp alternating in size looks seamless and real, and the Quantum Realm is even more visually arresting this time as more of it is explored. Ant-Man and the Wasp isn’t up there with Marvel’s best, and it doesn’t measure up to the studio’s last two releases, but it’s a fun, light-hearted romp through a smaller crevice of the Marvel Cinematic Universe, literally and figuratively living in the shadow of the larger films in the mega-franchise. It isn’t perfect, but its virtues far outweigh its flaws. If you liked Ant-Man and are a fan of the MCU in general, I can’t imagine you won’t have a great time with Ant-Man and the Wasp. Ant-Man and the Wasp isn't up there with Marvel's best, and it doesn't measure up to the studio's last two releases, but it's a fun, light-hearted romp through a smaller crevice of the Marvel Cinematic Universe, literally and figuratively living in the shadow of the larger films in the mega-franchise. It isn't perfect, but its virtues far outweigh its flaws.